Want to learn more? Subscribe to the Stockmanship Journal. Click for info! Or visit the On Pasture Speakers Bureau to find out how you can have Whit speak at your event or coordinate a workshop. The primary problem when driving pairs is cows and calves getting separated, which often leads to runbacks, or at least to very unhappy, stressed out cattle and people. But it needn’t be that way. Cows and calves trail all over by themselves and don’t have runbacks, right? Have you ever seen a runback when humans weren’t around messing with them? 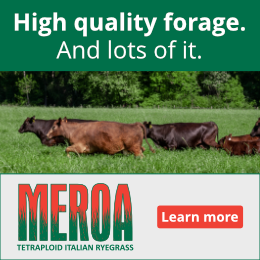 So, that tells us that trailing out is natural to cattle–they already know how to do it–so think how nice it would be if we could stimulate that natural behavior. So, when driving pairs our goal is (a) for cows to think of their calves first, (b) to stay mothered-up, and (c) to trail out properly so they don’t become unmothered. The question, then, is: How do we do this? 1. Foster the herd instinct. Imagine how much easier it would be to trail our cattle out if they preferred to be in a herd. As a prey animal, bovine want to be in herd unless we do something to make the herd an unpleasant place for them to be. So, the main idea in fostering or rekindling the herd instinct is that it’s not something that we actively teach them; rather, it’s a by-product of working our animals properly so the herd is a nice place to be. Unfortunately, in conventional handling the herd becomes a place cattle don’t want to be because of mishandling. 2. Teach them to walk calmly through gates past a handler. This is something that we should do with our cows before they calve. We should not let them get in the habit of rushing through gates uncontrolled. Why? It will really hurt us when it comes to trailing out pairs because too many will get unmothered. A basic rule should be that when someone goes up to open a gate they should stay there and regulate the flow of cattle through it. However, an exception might be very young calves if they are overly sensitive to the presence of the gate person and don’t want to go past him or her. Driving pairs begins with the approach. In general, approaching cows and calves is all about establishing a nonthreatening contact, not over-pressuring the cow so she takes off without her calf, and keeping them in a normal frame of mind so they stay together. Cows can’t handle a head-on approach emotionally; it’s like a car coming directly at us on the highway. So, the way to approach them is with a straight-line, oblique angle until we intersect their pressure zone, as shown here. A straight-line, oblique-angle approach keeps cows and calves in a normal frame and mind and prevents cows from feeling over-pressured and leaving their calves. After we’ve approached properly we need to start them properly; if we don’t, we’re asking for trouble. 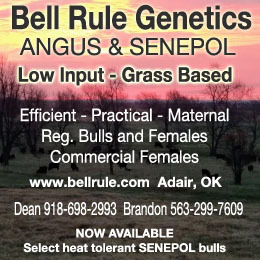 According to Bud Williams, “When you have trouble with cows and calves it’s almost always due to how you start ‘em.” The important thing to realize is that it doesn’t take any longer to start cows and calves properly than starting them improperly, and it will save a lot of time in the long run. Cows will take their calves unless we do something to split ’em up. So, how do we start pairs properly? a) If they’re not already together, get them mothered-up before starting them. Do that by disturbing them just enough to get the cows and calves looking for each other. Once they’re mothered-up a major mistake is starting them too soon or too fast, and trying to get too much movement to start with. The truth is that if we hurry it will be slow due to problems we create. To start them, slowly zigzag in so the cow has time to collect herself, take her calf, and start going, and she’s made a mental decision to go so she’s happy; we haven’t forced her to go. Need a refresher on the Zig-Zag. Click here! Once they move, let them move away so they experience that all-important release of pressure. a) Don’t push directly from the rear; rather, zigzag. b) With older pairs, start a lead and use the power of the draw created by good movement. If a cow has good movement her calf will follow (see Figure 2). To properly start a lead, don’t carve off a small bunch in the hopes that the rest will follow; rather, work the side in such a way to get the cattle to want to go past you (e.g., by doing reverse-parallel). For younger pairs it will probably work better for most people to drive from the rear. An effective way to move pairs is to start a lead—especially if the cows know where they are going, like summer pasture—and working the sides and staying off the rear. d) Don’t ride up the sides within their pressure zone which slows down or stops anything you pass. e) Make smooth, gradual turns. If turns are too tight the cattle get mashed together and turned crossways and they’ll get unmothered, unhappy and uncooperative. f) Control their flow through gates. Besides not letting the cows rush through and leave their calves, when they go through a gate some calves will hit the gate post and go down the fence as the cows go through, which a rider can prevent. This isn’t to imply that we can’t effectively drive cows and calves from the rear; we can if we do it properly. Moving 525 pair from the rear with the “T” to the target technique. Want more? 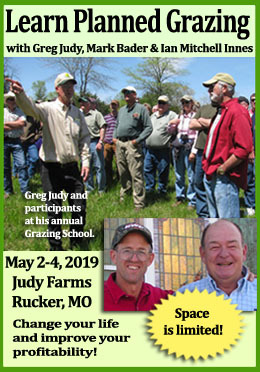 Subscribe to the On Pasture weekly email telling you when new articles are up. And check out this Special Collection of all of Whit’s articles! Do you like having access to these kinds of how-to articles? Keep them coming by becoming an On Pasture Community supporter. You choose your own 1x or monthly amount!